It is not just the destination but the entire journey that also adds to the excitement and intrigue of the Rasa experience. Right from the time one lands at the Airport or the train station, the excitement takes over. 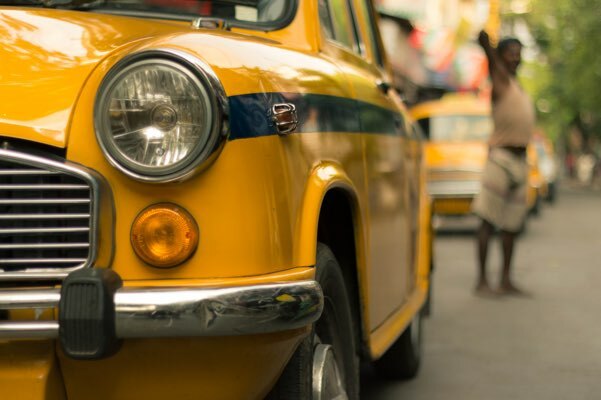 Being picked up in an ‘Ambassador’ car is an all new experience for most people. The ambassador is a large, roomy car of an old charm, with a singularity of space and movement. Your experience will be none like before or anywhere else. 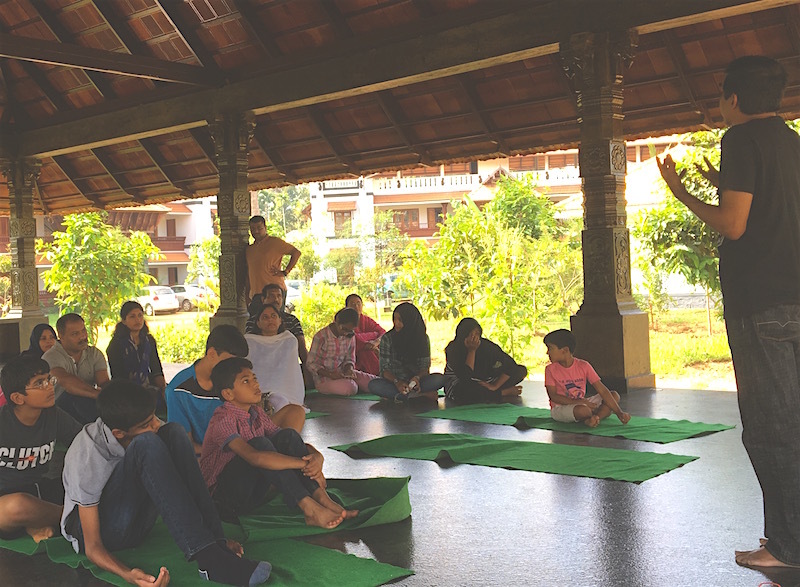 Rasa Gurukul is a world of its own. Its nature in its purest form. Green, fresh and forest like in a visual splendour where tradition remains tradition. 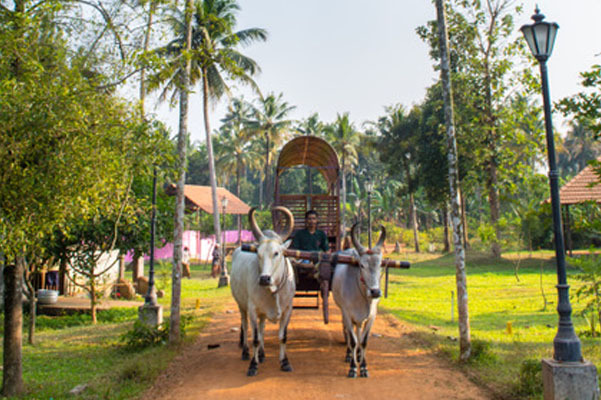 As an experience of travel on village roads and transport, visitors can avail of Bullock / Oxen cart rides within the resort at any time. It is true, real and a wonderful experience. 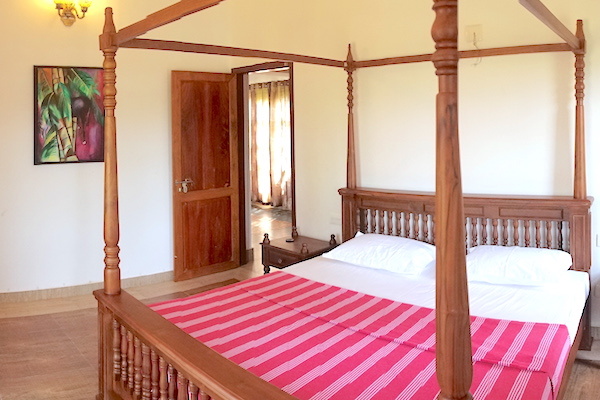 Rooms and cottages at Rasa Gurukul offer peace, comfort and tranquillity without the opulence of modernity. 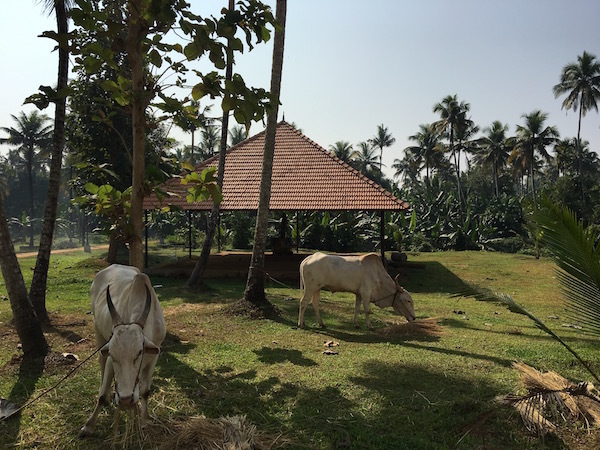 Our constructs are natural, roomy in traditional architectures and overlook the serenity of the resort and the breathtaking Chalakudy river that flows alongside. One relaxes in the very lap of nature. The Rasa Gurukul day begins with yoga and meditation to encourage positive vigour and an enthusiastic drive for life all at all times. Yoga is a practice the entire Gurukul wakes to and every visitor or student experiences this as well. Flowing through asanas, sitting quietly for a moment to still the mind, and then writing down any thoughts when one opens the eyes, before moving through more postures. Yoga and meditation are completely absorbing and perspective-bending. They take pne out of the everyday, so that each day feels better and more real. At the Gurukul, it is a reminder to be aware of every movement in every body and pattern in thoughts as travels through each hour. Yoga has a sneaky way of making everything more interesting—pushing each of us to look a little deeper at the seemingly mundane. 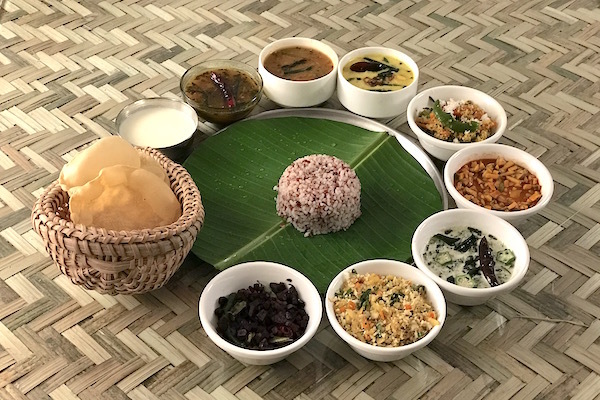 Ayurveda, the ancient medicinal system of India, is based on the concept of good diet and self-discipline for sound mental and physical health, and helps us understand the relationship between food and wellbeing. Ayurvedic medicine is one of the world’s oldest holistic (whole-body) healing systems. It was developed thousands of years ago in India. It is based on the belief that health and wellness depend on a delicate balance between the mind, body, and spirit. For followers of Ayurveda, anything that affects your physical, spiritual, or emotional well-being can cause you to be out of balance with the universe. 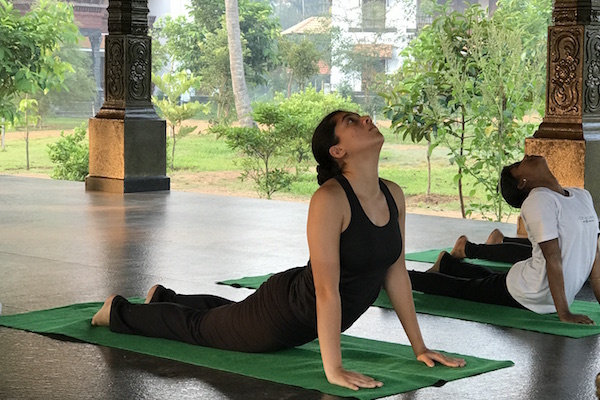 How your body works to keep you healthy and your unique physical and psychological characteristics combine to form your body’s constitution, or prakriti. Your prakriti is believed to stay the same for your entire life. However, how you digest food and eliminate waste can influence it. At the Gurukul Ayurveda Centre, one can experience Ayurveda first hand with traditional experts who will, treat, teach and train you in the great science of rejuvenation. At the Rasa Gurukul, it is a journey of the self in every sense of the word. As a school of traditional culiniary arts, it is imperative that the ingredients are all homegrown and produced with the Natural canvas of the Gurukul complex. With acres of farming from grains to pulses, and greens to fruits and health trees, the taste and spirit spring form from the very land it lives on. Students and visitors can learn the techniques of natural farming and sustainable production. Traditional or village life in India is all about experiences. And experiences are all about stories. Stories are all about people and stories is what teach us about life. This is a Rasa Gurukul philosophy. Be it the forge of Blacksmith, the wheel of the potter or the Churn of the jiggery maker, the traditional artisans share their experience to teach at the Gurukul and that in itself is an immensely enjoyable learning experience.